Has Turizm is reinforcing the success obtained in the transportation industry with the contributions to culture and education. 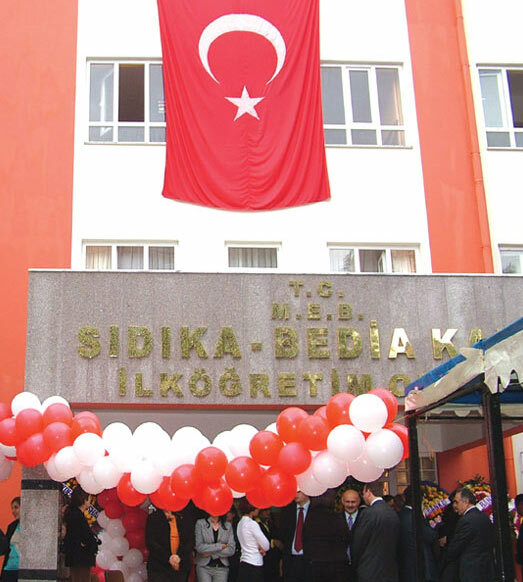 Samandağ Sıdıka-Bedia Kara Primary School has started serving for education after being inaugurated with the attendance of notable people. Samandağ Sıdıka - Bedia Kara Primary School is among Has Tourism’s most important supports to education with its protocol being signed two years ago. Hatay Province’s Governor Ahmet Kayhan, Republican People’s Party’s Deputies Former Minister of Industry and Commerce Fuat Çay and Aziz Yaşar, Samandağ Mayor Ali Terzi, Samandağ Governor Tahsin Kurtbeyoğlu, Provincial Education Director Nazmi Bozoğlan, teachers, students and people have attended to the inauguration ceremony. 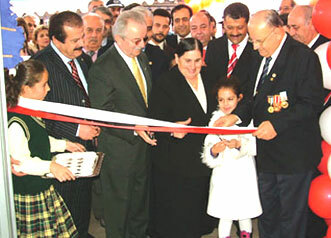 In the ceremony, the opening ribbon was cut by Hatay Governor Ahmet Kayhan. The school has a deep story dating back to 1945. The rocks of the school, which was constructed 61 years ago, were carried by Mehmet Selim Kara and his demised brother İsmail Kara on a tipcart, which was the only transportation vehicle at that time. After many years, when the reconstruction of this school was brought up again, Mehmet Selim Kara assumes it as a duty. He voluntarily undertakes to construct this school. With the beginning of construction, the rocks of the school were removed down to the foundation and a new school with 32 classrooms, which is suitable for the contemporary education system has been built. Mehmet Selim Kara, names school after his demised brother Ismail Kara’s wife and his own wife: Sıdıka - Bedia Kara Primary School.